Wide-ranging (and starry-eyed) discussion on HackerNews about what startup can do to make the world a better place. 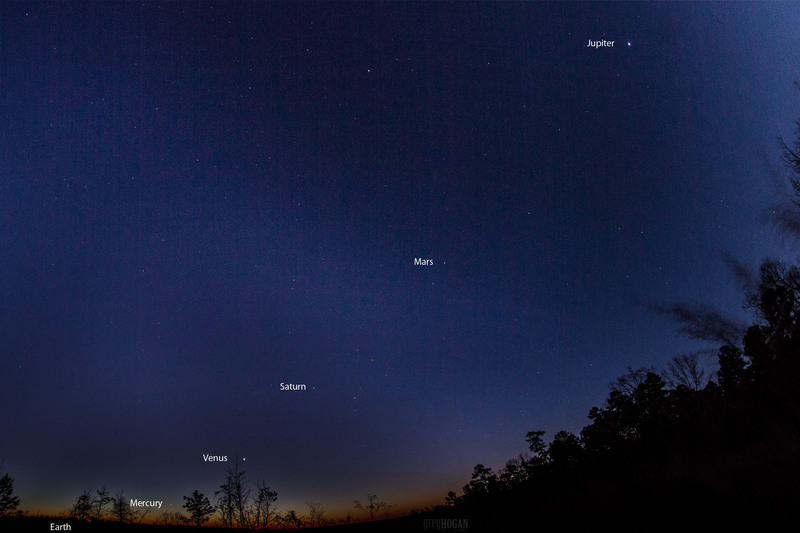 All six naked-eye-visible planets in one wide-angle image. (Source.) You can see the current configuration of the solar system here. Holden Karnofsky argues persuasively that selection bias implies that we should have fewer and more high-quality studies than we would in a hypothetical world with ideal, unbiased researchers. …each study is like a lamp post. We might want to have a few smaller lamp posts illuminating our path, rather than the world’s largest and most awesome lamp post illuminating just one spot. I worried that our striving for perfect, overachieving studies could make our world darker on average. Bottom line. Under the status quo, I get very little value out of literatures that have large numbers of flawed studies – because I tend to suspect the flaws of running in the same direction. On a given research question, I tend to base my view on the very best, most expensive, most “perfectionist” studies, because I expect these studies to be the most fair and the most scrutinized, and I think focusing on them leaves me in better position than trying to understand all the subtleties of a large number of flawed studies. If there were more diversity of research methods, I’d worry less about pervasive and correlated selection bias. If I trusted academics to be unbiased, I would feel better about looking at the overall picture presented by a large number of imperfect studies. If I had the time to understand all the nuances of every study, I’d be able to make more use of large and flawed literatures. And if all of these issues were less concerning to me, I’d be more interested in moving beyond a focus on internal validity to broader investigations of external validity. But as things are, I tend to get more value out of the 1-5 best studies on a subject than out of all others combined, and I wish that perfectionist approaches were much more dominant than they currently are. (H/t Carl Shulman.) Here’s a proposed rule of thumb: small, exploratory studies are only used to motivate further research. Studies that want to influence policy must be large, gold-standard. That rule seems to ameliorate many of the worries of folks like Chris Blattman. Why did the masses happen to work out this way for Tc when it doesn’t for most other odd-proton elements (Promethium is another example)? I’m a nuclear physicist that specializes in measuring nuclear masses, and I have long ago given up trying to understand how nuclear masses work. Nuclear theory is so complicated that it is basically unsolvable, so I can’t point to any one effect that caused this. For now we just go out and measure the masses. I know that’s unsatisfying, but so is nuclear physics in the end. Data on t-shirt sizes, as they expand/shirt in the wear/wash cycle, and by brand and nominal size. Blue Origins is trying to solve a very different problem than SpaceX, but cool nonetheless. Handy logarithmic scale for distances inside the solar system, extending to the next nearest star. If you get jaw surgery and have to have your jaw wired shut, they give you a pair of wire cutters so you can rip open the hardware in an emergency, like protracted vomiting or a car accident. Pretty interesting linguistic analysis of “totesing”. Orbital calculations suggest that Planet Nine, if it exists, is about ten times the mass of Earth and swings an elliptical path around the Sun once every 10,000–20,000 years. It would never get closer than about 200 times the Earth–Sun distance, or 200 astronomical units (au). That range would put it far beyond Pluto, in the realm of icy bodies known as the Kuiper belt. No one has seen Planet Nine, but researchers have inferred its existence from the way several other Kuiper belt objects (KBOs) move. And given the history of speculation about distant planets (see ‘Solving for X’), Planet Nine may end up in the dustbin of good ideas gone wrong. Alessandro Morbidelli, an orbital-dynamics specialist at the University of the Côte d’Azur in Nice, France, who has reviewed the paper in detail, says he is “quite convinced” that the planet exists. Others are not so sure. Claims of Planet Nine’s existence recall a period in the nineteenth century when astronomers predicted and then discovered Neptune by studying tiny perturbations in the orbit of Uranus. The gravity of some unseen body must be tugging on Uranus, they said — and they were right. “In some sense we’re hoping to relive history a little bit,” says Batygin. Nature coverage on issues of arXiv moderation brought up by a recent spat. See also commentary from Sabine Hossenfelder. Good short summary of the issue that threatened to fork Bitcoin, and the compromised reached. (H/t Scott Alexander.) Also, Economist coverage before compromise. I have always thought it makes for teachers to assign students to write wikipedia articles. A Wikipedia assignment transforms a typical science writing exercise into real-world science communication experience. Along the way, your students help share knowledge about your discipline with millions of readers…. The Wiki Education Foundation (Wiki Ed) is a nonprofit organization that helps fill content gaps — like those in the sciences — on Wikipedia, while providing students a truly unique learning experience…. This printer uses laser heating to selectively solidify a bath of liquid plastic. Cost $3000, but it’s pretty gnarly. Neat discussion of recent developments in property rights in the solar system with the SPACE act. As with much discussion of similar topics, it gives weird reverence to the “international law” established by PR documents like the Outer Space Treaty. Probably just driven by the author’s need for apparent conflict. SpaceX’s Falcon 9 rocket almost lands on drone ship, but landing leg fails to lock out. Excellent video. Here is a giant list of major reversals of accepted best practices in medicine [PDF]. (H/t Luke Muehlhauser.) Related to new book “Ending Medical Reversal” by Prasad and Cifu. Note that, contrary to the impression I get from reading that book review, reversals are not a clear signal of bad scientific practices. In a field where you must make decisions under uncertainty, you expect that recommendations become wrong nearly as often as they are rights as you approach the frontier of knowledge. There are of course good argument to be made about erring on the side of not intervening (“first, do no harm”), but those are surprisingly subtle arguments that depend on things like the precautionary principle, the difficulty of measuring many side effects, and the vague sense in which most things you do to a complex system like the body break it rather than heal it. The state of airline alliances. This 3D fractal viewer needs a setting where the speed that the camera moves at is proportional to the distance to the nearest wall. Bowie Bonds are asset-backed securities of current and future revenues of the 25 albums (287 songs) that David Bowie recorded before 1990. Bowie Bonds were pioneered in 1997 by rock and roll investment banker David Pullman. Issued in 1997, the bonds were bought for US$55 million by the Prudential Insurance Company of America. The bonds paid an interest rate of 7.9% and had an average life of ten years, a higher rate of return than a 10-year Treasury note (at the time, 6.37%). Royalties from the 25 albums generated the cash flow that secured the bonds’ interest payments. Prudential also received guarantees from Bowie’s label, EMI Records, which had recently signed a $30m deal with Bowie. By forfeiting ten years worth of royalties, Bowie was able to receive a payment of US$55 million up front. The satellite’s unique arrow shape and fins helped keep GOCE stable as it flew through the upper thermosphere at an altitude of 255 kilometres (158 mi). Additionally, an ion propulsion system continuously compensated for the variable deceleration due to air drag without the vibration of a conventional chemically powered rocket engine, thus limiting the errors in gravity gradient measurements caused by non-gravitational forces and restoring the path of the craft as closely as possible to a purely inertial trajectory. Scott Aaronson reviews the recent slate of responses to the Edge question. New Video of recent SpaceX Falcon 9 first stage landing. From everything I can tell, air traffic control and airplane maintenance/safety procedures are really well designed. Every time I read some knowledgable talk about them, I am impressed with the thoughtful, cost-benefit justification for each aspect of their functioning. So why oh why are airports, and especially airport security, so abominable? Why are terminals so exhausting and inefficient to navigate? Why do we spend billion of dollars, and more in time, for security that does nothing? My best guess is that any service that involves average customers is going to be broken, but procedures that can be optimized without customers in the loop can become good. Study to test whether gut flora transplants can induce weight loss. Angolia’s HackerNews search is really excellent now. The clearest explanation I’ve seen of how LaTeX floats are placed. There is a certain beauty and satisfaction with understanding this stuff, but it’s definitely bad overall that scientists are spending a fraction of their brains on this crap. We need a modern successor to TeX which moves a bit in the direction of markdown. The Corrupted Blood incident was a video game glitch and virtual plague in the MMORPG World of Warcraft, which began on September 13, 2005, and lasted for one week. The epidemic began with the introduction of the new raid Zul’Gurub and its end boss Hakkar the Soulflayer. When confronted and attacked, Hakkar would cast a hit point-draining and highly-contagious debuff spell called Corrupted Blood on players. The spell, intended to last only seconds and function only within the new area of Zul’Gurub, soon spread across the virtual world by way of a bug that allowed pets and minions to take the affliction out of its intended confines. By both accidental and purposeful intent, a pandemic ensued that quickly killed lower-level characters and annoyed higher-leveled ones, drastically changing normal gameplay, as players did what they could to avoid infection. Despite measures such as programmer-imposed quarantines, and the players’ abandoning of densely populated cities (or even just not playing the game), the epidemic was finally controlled with a combination of patches and resets of the virtual world. 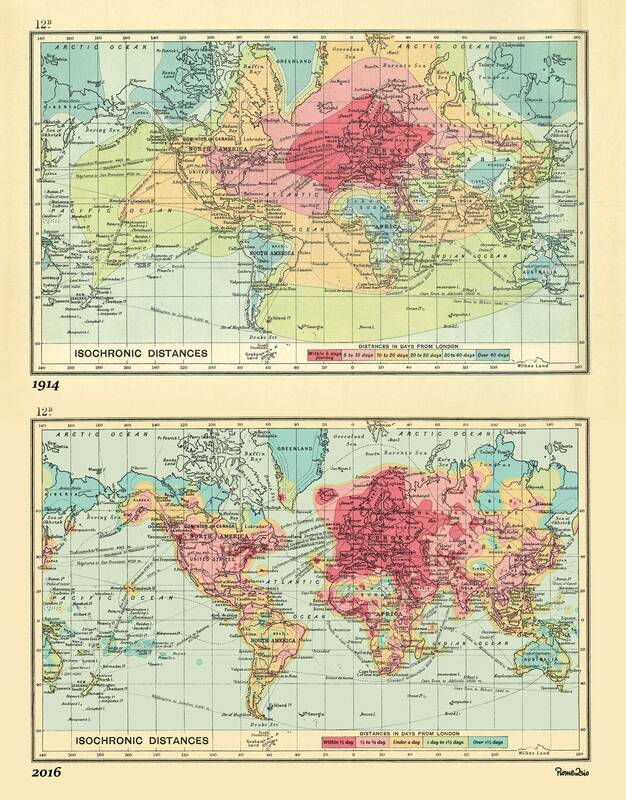 The conditions and reactions of the event attracted the attention of epidemiologists for its implications of how human populations could react to a real-world epidemic. Counter-terrorism researchers also took notice of the event. List of 52 ideas that the rationalist community talks about a lot. Why David Bowie is important to me. The sickness of my generation is a zealous attachment to “authenticity.” It is stultifying, oppressive, maybe even deadly, and premised on false assumptions about the nature of personal identity. Bowie is the antidote. He taught that persona is performance. If there is anything like authenticity, it is fidelity to a higher-order sensibility, a sort of governing taste, which is mutable but in some sense still coherent, which regulates the style in which you perform yourself, but leaves open the question, maybe even sets aside the question, of who you *really* are. Rather than demanding authenticity, which is inherently paradoxical–trying to be real is embarrassing and fake–Bowie-ism instead asks for playful imagination in the artful construction and performance of persona. You can’t aspire to Bowie’s level of virtuosity in this regard, but it is liberating, especially for a Gen X-er drawn toward the grimly earnest misguided intensity of the authenticity cult, to see life as a playful pageant of role-playing that can be done with more or less art. Bowie is why I tell my writing students that there is no “voice” to find, no voice that belongs to the true you, because there is no true you, only ever versions of yourself you have learned to perform, and the voice of the character you play on the page is up to you. The question is not who you are but what connects, how much courage you have, how much guile, what you can manage to get away with. Introspection is sometimes useful but severely overhyped. You will lie to yourself and you can’t stop this with solemn vows or determined fortitude; the problem is much deeper and more subtle than that. Apparently, the much higher density of stars in globular clusters generally prevents there from being many stable planetary orbits, so most planets there are rogue — passing between stars and so icy cold. But there are also cluster of intermediate density that have planets in stable orbits but still much smaller average distances between stars than typical galaxies, which would make interstellar travel vastly more feasible. The latest news roundup from the Global Catastrophic Risk Institute is more interesting than usual. …there are a few cultures over the years who count knuckles instead of fingers, leading to base 12 systems. (3 knuckles per finger, 4 fingers on a hand = 1-12 on one hand) and this x 5 “tens places” by sticking up fingers on your other hand leads to the base 60 system of the Babylonians. And some Native American Tribes used base 8 because they count spaces between fingers, rather than the fingers themselves. Really, the only reason 10s seem to be as prevalent as they are is because it’s what the Romans & Greeks used. Central American cultures seem to have used base 20 systems, a lot of Natives used base 8 (as noted above), from my limited reading it seems like base 12 is pretty common in sub-Sahara Africa. All places the Romans didn’t have a lot of impact. Jester mentions that his private polling suggests a 10% chance that the diphoton bump is new physics. I find this (and him) reasonable, and have updated from 5% to 9% chance. Variable and smooth interpolation between two takes of a dramatic scene. And in a conflict-averse culture, it’s considered preferable to have no extended family ties than to have occasional family rancor. By paying peer reviewers $100 each, it hopes to get reviews back within a week. That payment will not compensate a reviewer for his or her time (which economic analyses have estimated as worth on the order of $400 per review) but it could start to professionalize what has historically been a voluntary role, Collier says. The payments are covered by Rubriq’s fee to authors, which also covers the administrative burden of recruiting reviewers and assigning papers — an estimated $200. Roundup of space mission for 2016. The three recent loophole-closing Bell experiments are reviewed by the renowned Alain Aspect. It’s not often you see something new in basic internet media technology that really catches your attention. Here is a “360° video” from inside the cockpit of the Blue Angels. A perfect subject matter for demonstrating the immersive feel of this. I am really looking forward to this becoming popular, to be released in high resolution for headset displays. More videos on YouTube and Reddit. Selection is still sparse. Doctors on Board allows Lufthansa to identify doctors long before an emergency occurs. By doing this, the cabin crews can personally and discreetly summon the doctor if their skills are needed during a flight. In order to find doctors who could potentially participate in this program, the airline scoured the data from its Miles and More frequent flier program. By doing this, Lufthansa was able to identify 15,000 doctors who regularly fly the airline. Of those, 10,000 opted to join the program. Participation in the Doctors on Board program carries with it several benefits. The doctors are issued a handbook about aviation medicine, as well as receiving news and information via both the internet and postal mailings. They are insured by Lufthansa for any care that they provide during a flight. They are also rewarded with 5,000 Miles and More award miles and a discount code for €50 off of their next flight, plus they receive a special bag tag identifying their participation in the program. Finally, they are given the opportunity to participate in a course on aviation medicine and on-board emergency handling, for which they are paid an additional fee. There is a finite pattern whenever one relies on volunteers. Most will come and go, but a few hang around and rise to the top. Lacking renumeration, they tend towards self-gratification. Some handle extra responsibility well, but others start building their own little castles from which to berate all below. This process is inevitable once you have multiple ranks of volunteers. I’ve seen this with charities, open source projects, and it was a constant problem when I worked in film/tv (interns). Things always go south when you have volunteers bossing around other volunteers. Newcomers show up eager but depart quickly, normally after some dressing down by a more senior volunteer. Without pay in dispute, they rarely make complaint. They just stop showing up. And who can blame them? The answer is to keep all volunteers equal. That’s probably impossible for a project like wikipedia, but they could certainly do more to ensure new volunteers are not so bullied by the old guard. One way to gather evidence would be to award seniority/expertise with advising roles rather than authority, in the same way that the (much revered) sergeants first class of the US army have relatively large influence but little formal power. Relatedly, the value of the expertise of senior legislators is often offered as a reason against term limits, and I’ve argued before that giving former legislators lifetime advising appointments would mitigate most of this concern. Ready to be disappointed? Here are the 5 key findings of the International Space Station. What they don’t mention in #4 is that the only reason that the AMS was attached to the ISS rather than launched as an independent satellite is that it would have been hard to power it. So it leaches off the ISS solar panels. Obviously, this can’t be counted as more than a tiny fringe benefit of the ISS, since one could always have built a bigger, independent version of AMS with more solar panels. The ISS cost $150 billion. If you take a hard-nosed look at the scientific benefits, and consider what it would cost to perform various experiments on Earth, I am honestly unsure whether it was worth $1 billion. (Just take a look at how the ISS, along with the embarrassing F-35 program, dwarfs other R&D projectors worldwide.) The most optimistic assessment probably is built mostly on the value of data about human biology in space, since there’s no real alternatives to spaceflight. The ISS cost $7.5 million per man-day in space, about half of the cost of Skylab in inflation-adjusted dollars. But since the there must be declining marginal value to the information gathered on each additional man-day, I’d say this argument is unlikely to end up with an impressive value. Researchers from Memorial Sloan Kettering Cancer Center (MSK) have announced results from the first published basket study, a new form of clinical trial design that explores responses to drugs based on the specific mutations in patients’ tumors rather than where their cancer originated. Peregrine falcons nesting on a balcony in Chicago, with great photos. (H/t Gwern.) Stunning if true. Think this will slowdown our culture’s obsession with exercise for health? Me neither. Read more from Gwern here, especially the NY Times digest versus Gwern’s very different take. I mean, just look at the Times’ leading (stock) photo, and then the actual lean-mass differences (1.4 kg)! Summary: GiveWell’s list of top and standout charities is identical to that of 2014, although with special emphasis on the Against Malaria Foundation. Giving What We Can’s recommendations have been static for several years. To estimate what rate of churn we should expect, I examine the age distribution of GiveWell (and Giving What We Can) recommended charities. For top international aid charities, typical age is a decade or less, possibly a result of focus on smaller organizations narrowly focused on interventions with recent funding gaps. USA + Canada = United North America. Out-of-order execution of multiple instructions simultaneously. Single-Operation-Multiple-Data (SIMD) operations in vector registers. Multiple CPU cores on the same chip. These kinds of parallelism have no theoretical limits, but real practical limits. The out-of-order execution is limited by the number of independent instructions in the software code. You cannot execute two instructions simultaneously if the second instruction depends on the output of the first instruction. Current CPUs can execute typically four instructions simultaneously. There would be little advantage in increasing this number further as it would be difficult or impossible for the CPU to find more independent instructions that it could execute simultaneously. Current processors with the AVX2 instruction set have 16 vector registers of 256 bits each. The forthcoming AVX-512 instruction set gives us 32 vector registers of 512 bits each, and we can expect future extensions to 1024 or 2048-bit vectors. But these increases in vector size are subject to diminishing returns. Few calculation tasks have enough inherent parallelism to take full advantage of the bigger vector registers. The 512-bit vector registers are connected with a set of mask registers, which have a size limitation of 64 bits. A 2048-bit vector register will be able to hold 64 single-precision floating point numbers of 32 bits each. We can assume that Intel have no plans of making vector registers bigger than 2048 bits because they would not fit the 64-bit mask registers. Multiple CPU cores is advantageous only if there are multiple speed-critical programs running simultaneously or if a time-consuming task can be divided into multiple independent threads. There is always a limit to how many threads a task can profitably be divided into. The industry will no doubt keep trying to make more and more powerful computers, but what are the possibilities for obtaining still more computing power? There is a fourth possibility for parallelism which has so far not been implemented. Software is typically full of if-else branches, and the CPUs are going to great lengths to predict which of the two branches it will take so that it can feed the predicted branch into the pipeline. It would be possible to execute multiple branches of code speculatively at the same time in order to avoid losing time when a branch prediction is mistaken. This, of course, will be at the cost of higher power consumption.